In order for candidate attorneys to become efficient legal practitioners, law firms have a great responsibility to create a conducive learning environment that will allow for the smooth transferring of skills from principals to candidate attorneys. 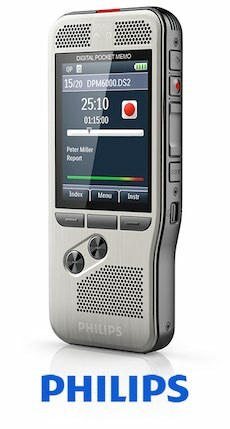 Ensure your candidate attorney is set up and ready to get to work with a Philips DPM6000 professional dictation recorder. Two microphones deliver superior audio quality for your dictations. Its robust yet lightweight stainless steel design offers perfect ergonomics for working over longer periods of time. Power saving features and a high capacity Li-ion battery offer extended recording time and easy charging through a standard USB connection.